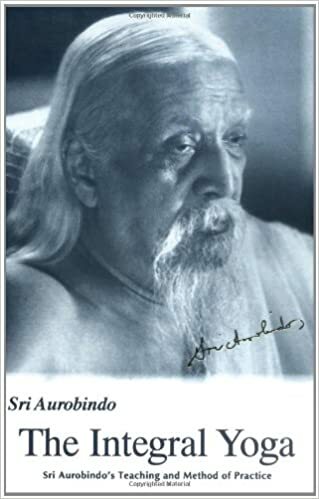 Sri Aurobindo (1872 – 1950) was an early Indian revolutionary, who later left politics to pursue his spiritual sadhana. Sri Aurobindo founded an ashram in Pondicherry, where he became a prominent spiritual philosopher, poet and Spiritual Master. His greatest work was the epic poem Savitri. Aurobindo Ghose was born in India on 15th August 1872. At a young age, he was sent to England to be educated at St Paul’s. Sri Aurobindo was an excellent student and won a scholarship to read classics at King’s College Cambridge. It was at university that the young Aurobindo became increasingly interested in the fledgeling Indian independence movement. Given a chance to enter the civil service, Aurobindo deliberately failed as he didn’t want to work for the British Empire. Upon graduating he decided to return to India where he took up a position as a teacher. It was also on returning to India that Aurobindo recounts his first most significant spiritual experience. He relates on how returning to Indian soil he was inundated with a profound peace. 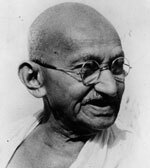 This experience came unsought but at the same time, he continued to become more deeply connected with the Indian independence movement. Aurobindo was one of the first Indian leaders to openly call for complete Indian independence; at the time, the Indian Congress wanted only a partial independence. In 1908 Aurobindo was implicated in the Alipore bomb plot in which two people died. As a consequence, Aurobindo was jailed whilst awaiting trial. In prison, Aurobindo underwent a profound and life-changing spiritual experience. He began to meditate very deeply and inwardly received spiritual instruction from Swami Vivekananda and Sri Krishna. From the depths of the British prison, Aurobindo saw that Brahmin or God pervaded the entire world. There was nothing that was separated from the existence of God. Even in the worst criminal, Aurobindo saw at heart – God or Vasudev. During his spiritual transformation, Sri Aurobindo received an inner command to give up politics and devote his life to spirituality and the descent of a new spiritual consciousness. He also received an inner guarantee that he would be fully acquitted in his forthcoming trial. Due to the tireless efforts of C.R.Das, Aurobindo was acquitted and was free to leave. However, the British were still very suspicious, and so Aurobindo decided to move to the French province of Pondicherry where he began to practise meditation and spiritual disciplines. In Pondicherry, he also began to attract a small group of spiritual seekers who wished to follow Sri Aurobindo as a Guru. A couple of years later, a French mystic by the name of Mirra Richards (b. Alfassa) came to visit Pondicherry. Sri Aurobindo saw in her a kindred spirit. Later he would say himself and the Mother (Mirra Richards) were one soul in two bodies. After the Mother settled in the ashram in 1920, the organisation of the Ashram was left in her hands whilst Sri Aurobindo increasingly retreated to give him more time for meditation and writing. Sri Aurobindo was a prolific writer writing some of the most detailed and comprehensive discourses on spiritual evolution. Sri Aurobindo said that his inspiration to write came from his inner pilot, from a higher source. Sri Aurobindo wrote extensively, in particular, he spent many hours patiently replying to the questions and problems of his disciples. Even on the smallest detail, Sri Aurobindo would reply with great care, attention and often good humour. It is interesting to note that Sri Aurobindo often refused to write for prestigious newspapers and journals, he frequently turned down requests to return to leadership of the Indian independence movement. Sri Aurobindo was also a Seer Poet of the highest order. His epic Savitri is a testimony to his own spiritual sadhana. For over 20 years he continually refined and amended this mantric poetic output. It became one of the most powerful testimonies of his spiritual consciousness. After moving to Pondicherry, Sri Aurobindo rarely made any public announcements. However, on rare occasions, he did break his silence. In 1939, Sri Aurobindo publically states his support for the British war effort against Hitler’s Nazi Germany. This was a surprise given his opposition to British rule in India, but Aurobindo frequently warned of the stark dangers of Hitler’s Germany. Sri Aurobindo once wrote that it is impossible to write a biography of a spiritual Master because so much of their life happens on the inner plane and not outer plane. India achieved her independence on August 15, 1947. Sri Aurobindo remarked on this event. On 5 December 1950, at the age of 78, Sri Aurobindo left his physical body. He had recently said that he could continue his spiritual work from the soul’s world. Citation: Pettinger, Tejvan. “Biography of Sri Aurobindo”, Oxford, UK – www.biographyonline.net. Published 3rd August 2009. Last updated 19 February 2018. Indian Independence Movement – A list of Indian men and women who played a key role in the Indian Independence Movement.